October 21, 2010  The federal bailout of mortgage giants Fannie Mae and Freddie Mac could get a whole lot more expensive in the next few years. The agency that regulates the firms is out with new estimates, and the price tag is hefty -- somewhere between $90 billion and $215 billion over the next three years, depending on the economy. October 20, 2010  Two major mortgage lenders announced plans to resume taking back homes as soon as possible. But delays over questionable paperwork have not eliminated the threat of foreclosure for homeowners. October 20, 2010  A new mortgage-related headache is threatening the nation's largest banks. 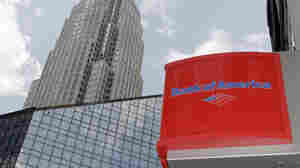 Many investors -- some representing as much as $50 billion in mortgage-backed securities -- want to send back their bad loans to the originators such as Bank of America, which took over the notorious subprime lender Countrywide. October 15, 2010  Angelo Mozilo, the former CEO of Countrywide Financial, will pay $67.5 million in penalties to settle a civil fraud suit filed by the Securities and Exchange Commission. Mozilo built Countrywide into the nation's largest mortgage lender, but it was sold to Bank of America after it ran into trouble in the subprime lending debacle. The settlement bars Mozilo from serving as an officer or director of a public company. October 15, 2010  Foreclosure proceedings across the country are on hold as banks and loan servicing companies scramble to deal with a growing controversy over the foreclosure process. Lenders have admitted to paperwork problems, where "robo-signers" signed legal documents without personally verifying their accuracy. And now there are new questions about who really owns the loans. October 13, 2010  Officials in all 50 states and the District of Columbia are launching a joint investigation into mortgage servicers and their foreclosure practices. The banks say these are largely paperwork problems; state law enforcement officials say it may be fraud. Several firms have admitted in recent weeks that employees signed legal documents in foreclosure cases without properly reviewing them. Maglite: Shining The Light On Made In The U.S.A.
September 29, 2010  Mag Instrument has been making its flashlights in the U.S. for years. Anthony Maglica is the driving force behind a company that sells its signature product -- the Maglite -- for the same wholesale price it did in 1979. He vows to keep production at home, even if it means losing money. September 25, 2010  A good pair of shoes and an open stretch of trail were all runners used to need. But now many swear by GPS technology that monitors their speed and distance, and new smart phone apps tell them whether they need to pick up the pace. 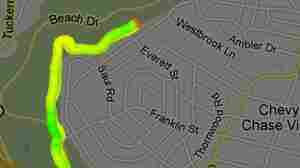 September 24, 2010  It seems the market has filled with running GPS apps. NPR's Tamara Keith takes them out for a spin and tells you which ones are worth the sweat. September 24, 2010  Now that Blockbuster has filed for bankruptcy protection, the question is whether the firm can reorganize and go on to live another day. Under the plan filed Thursday, the company cuts its debt by about $900 million. And it gets a cash infusion of $125 million. 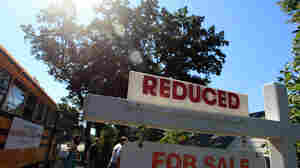 September 22, 2010  Tens of thousands of home foreclosures have been thrown into question because paperwork may not have been reviewed properly. GMAC Mortgage, which is owned by Ally Financial, has halted evictions in 23 states while it goes back to check and, in some cases, correct certain court documents. September 15, 2010  Small business groups lost a round on Capitol Hill Tuesday. A bill to increase lending to small businesses cleared a hurdle in the Senate but an amendment small businesses had supported failed. The amendment would have killed a reporting requirement under the new health care law that significantly increases reporting requirements. September 9, 2010  Two bits of relatively good economic news came out Thursday: The nation's trade deficit declined in July, and the number of people applying for unemployment benefits also fell. But analysts warn against reading too much into either number. The trade deficit bounces around a lot, and unemployment claims remain high. Adding It Up: How Much Tax Does A Taxpayer Pay? September 8, 2010  When it comes to taxes in the U.S., it's the income tax -- and the annual April 15 deadline for filing returns -- that gets most of our attention. But that's only part of the picture -- there are property taxes and sales taxes, even taxes built into every cell phone bill. So how much do we pay? One couple in Connecticut opens their books to find out. September 3, 2010  The unemployment rate grew in August from 9.5 percent to 9.6 percent. But that's mostly because 114,000 temporary Census jobs ended. The job decline is less than most economists expected as the private sector added 67,000 new jobs last month.